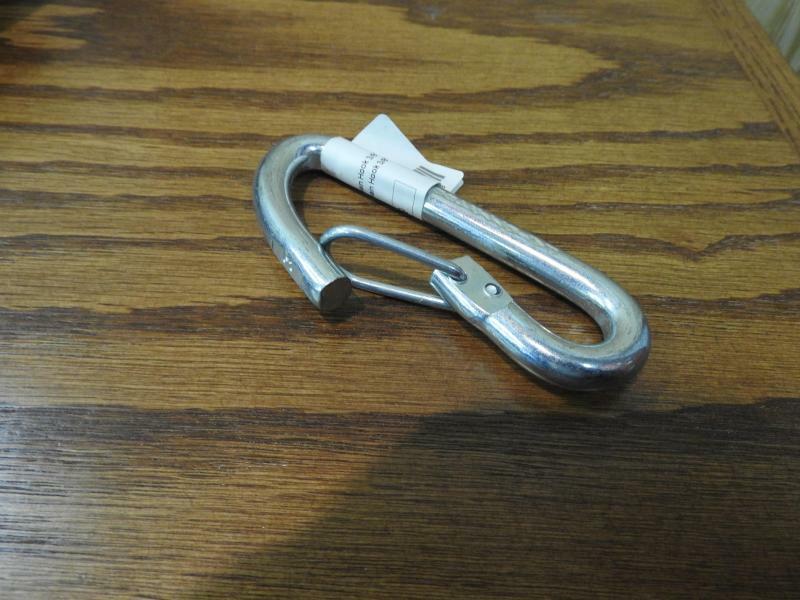 Desc: Tie Down Loop 2.25"x1"x3.75" As Always NO Dealer Fees Please call or check out or website for a list of trailers We Currently have over 150 trailers in stock We have trailers from single axle ATV to Dual Tandem Gooseneck Hot Shot to Race Trailers Check out our website. 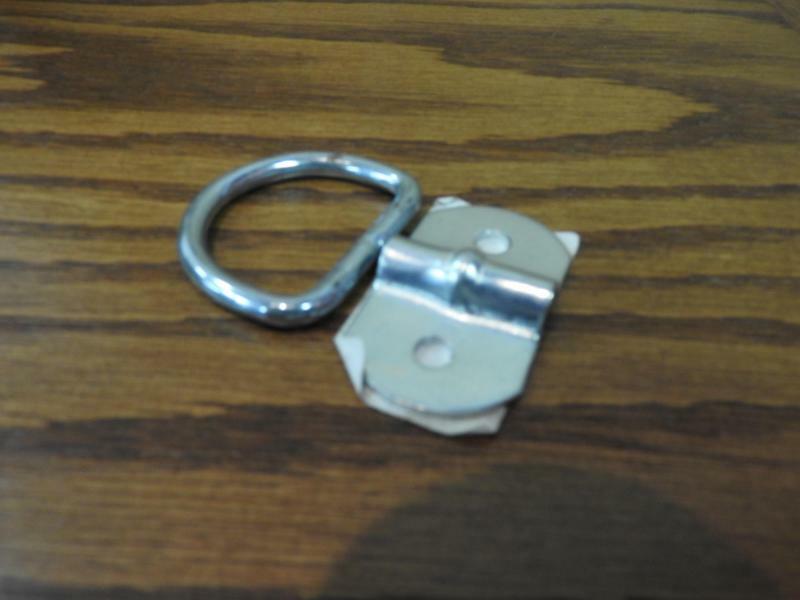 http://southernohioequipment.com We carry car hauler Tilt Top Flatbed Deckover Stock Horse Dump Landscape and Utility Trailer We stock steel and Aluminum Trailers Currently have PJ Big Tex Carry On and Stehl Tow Dolly utility Trailers Enclosed Trailers from Wells Cargo Look Pace American and RC We also carry Delta and CM Livestock Trailers Sell and install All Steel Carports We sell and install Curt and B&W Hitches Ranch Hand Grill Guards CM and PJ Flat Beds and Utility Service Beds Sold and Installed Here Skid Steer attachments buckets, Grapple, forks to hydraulic driven implements We are your trailer superstore with a fully stock parts room A show room full of truck and trailer accessories Southern Ohio Equipment Co LLC 6339 County Road 550 Frankfort Ohio 45628 740 998 6100 Hours M-F 9:00-5:00 Sat 9:00-12:00 We also carry used tractor and farm equipment and heavy equipment We have bulldozer, backhoe, bobcat, skid steer attachments, Tractor and loader new and used trailers We accept trade ins On site Financing from several vendors business and personal loans available We take in consignment equipment and trailers. Let us sell your unwanted equipment for you. 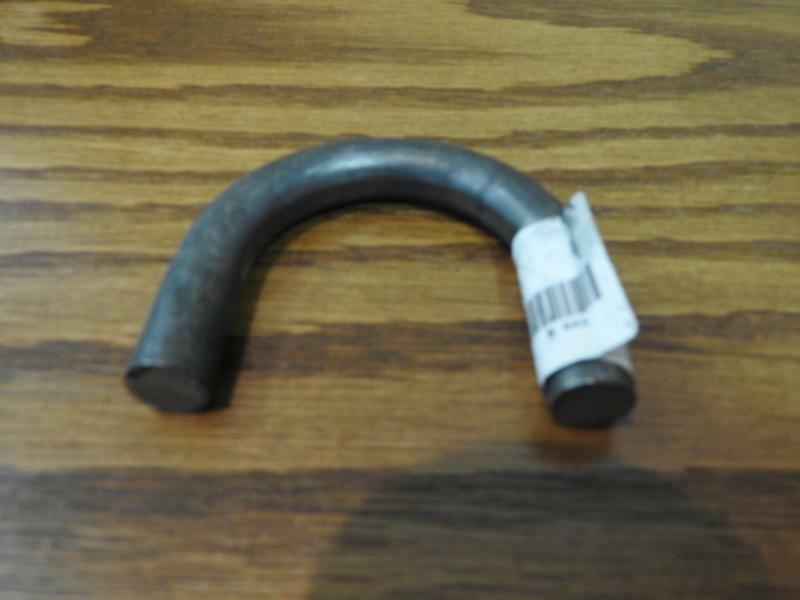 Desc: Weld On Tie Down Loop 2" Round As Always NO Dealer Fees Please call or check out or website for a list of trailers We Currently have over 150 trailers in stock We have trailers from single axle ATV to Dual Tandem Gooseneck Hot Shot to Race Trailers Check out our website. http://southernohioequipment.com We carry car hauler Tilt Top Flatbed Deckover Stock Horse Dump Landscape and Utility Trailer We stock steel and Aluminum Trailers Currently have PJ Big Tex Carry On and Stehl Tow Dolly utility Trailers Enclosed Trailers from Wells Cargo Look Pace American and RC We also carry Delta and CM Livestock Trailers Sell and install All Steel Carports We sell and install Curt and B&W Hitches Ranch Hand Grill Guards CM and PJ Flat Beds and Utility Service Beds Sold and Installed Here Skid Steer attachments buckets, Grapple, forks to hydraulic driven implements We are your trailer superstore with a fully stock parts room A show room full of truck and trailer accessories Southern Ohio Equipment Co LLC 6339 County Road 550 Frankfort Ohio 45628 740 998 6100 Hours M-F 9:00-5:00 Sat 9:00-12:00 We also carry used tractor and farm equipment and heavy equipment We have bulldozer, backhoe, bobcat, skid steer attachments, Tractor and loader new and used trailers We accept trade ins On site Financing from several vendors business and personal loans available We take in consignment equipment and trailers. Let us sell your unwanted equipment for you. 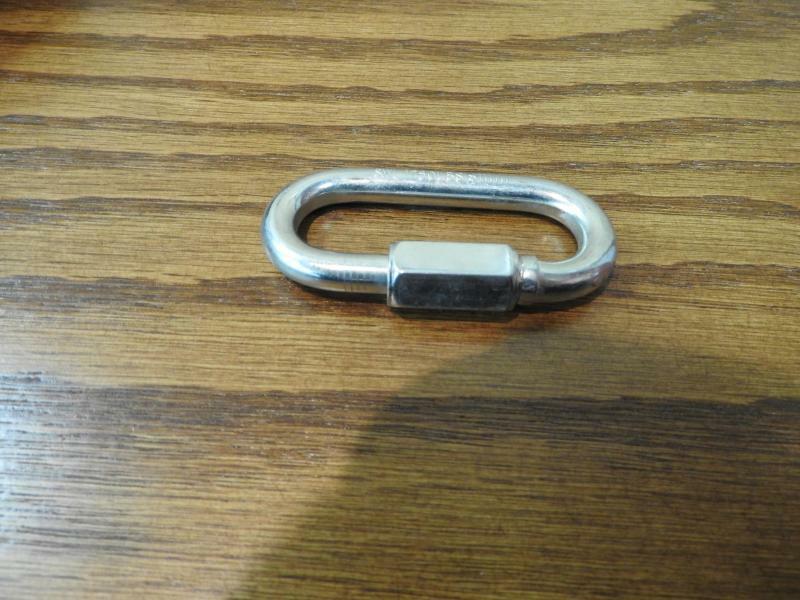 81266 Safety Chain Hook 3/8"
Desc: 81266 Safety Chain Hook 3/8" As Always NO Dealer Fees Please call or check out or website for a list of trailers We Currently have over 150 trailers in stock We have trailers from single axle ATV to Dual Tandem Gooseneck Hot Shot to Race Trailers Check out our website. http://southernohioequipment.com We carry car hauler Tilt Top Flatbed Deckover Stock Horse Dump Landscape and Utility Trailer We stock steel and Aluminum Trailers Currently have PJ Big Tex Carry On and Stehl Tow Dolly utility Trailers Enclosed Trailers from Wells Cargo Look Pace American and RC We also carry Delta and CM Livestock Trailers Sell and install All Steel Carports We sell and install Curt and B&W Hitches Ranch Hand Grill Guards CM and PJ Flat Beds and Utility Service Beds Sold and Installed Here Skid Steer attachments buckets, Grapple, forks to hydraulic driven implements We are your trailer superstore with a fully stock parts room A show room full of truck and trailer accessories Southern Ohio Equipment Co LLC 6339 County Road 550 Frankfort Ohio 45628 740 998 6100 Hours M-F 9:00-5:00 Sat 9:00-12:00 We also carry used tractor and farm equipment and heavy equipment We have bulldozer, backhoe, bobcat, skid steer attachments, Tractor and loader new and used trailers We accept trade ins On site Financing from several vendors business and personal loans available We take in consignment equipment and trailers. Let us sell your unwanted equipment for you. 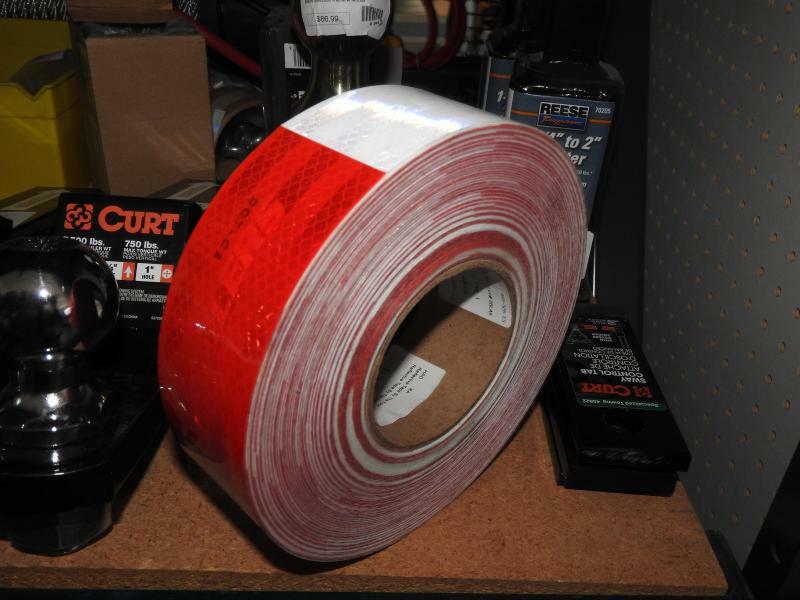 Desc: Reflective Tape By The Foot As Always NO Dealer Fees Please call or check out or website for a list of trailers We Currently have over 150 trailers in stock We have trailers from single axle ATV to Dual Tandem Gooseneck Hot Shot to Race Trailers Check out our website. http://southernohioequipment.com We carry car hauler Tilt Top Flatbed Deckover Stock Horse Dump Landscape and Utility Trailer We stock steel and Aluminum Trailers Currently have PJ Big Tex Carry On and Stehl Tow Dolly utility Trailers Enclosed Trailers from Wells Cargo Look Pace American and RC We also carry Delta and CM Livestock Trailers Sell and install All Steel Carports We sell and install Curt and B&W Hitches Ranch Hand Grill Guards CM and PJ Flat Beds and Utility Service Beds Sold and Installed Here Skid Steer attachments buckets, Grapple, forks to hydraulic driven implements We are your trailer superstore with a fully stock parts room A show room full of truck and trailer accessories Southern Ohio Equipment Co LLC 6339 County Road 550 Frankfort Ohio 45628 740 998 6100 Hours M-F 9:00-5:00 Sat 9:00-12:00 We also carry used tractor and farm equipment and heavy equipment We have bulldozer, backhoe, bobcat, skid steer attachments, Tractor and loader new and used trailers We accept trade ins On site Financing from several vendors business and personal loans available We take in consignment equipment and trailers. Let us sell your unwanted equipment for you. 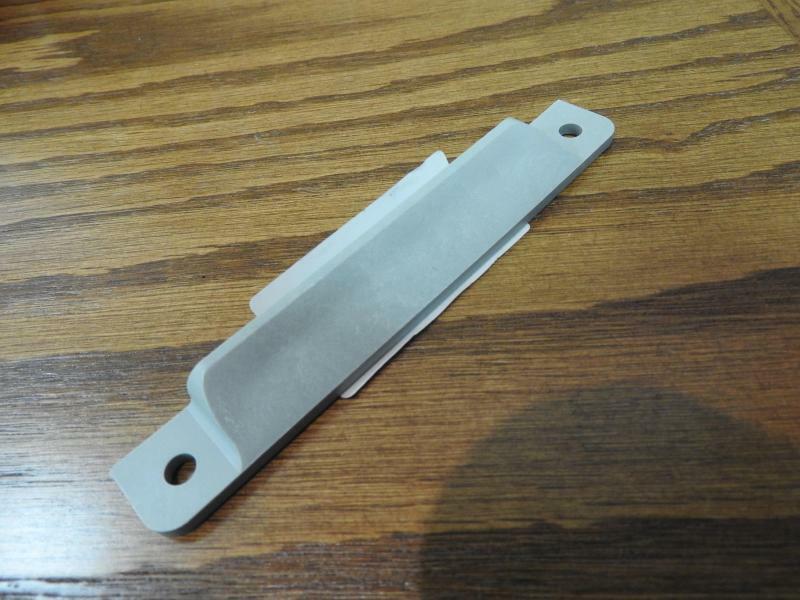 Desc: E Track End Caps As Always NO Dealer Fees Please call or check out or website for a list of trailers We Currently have over 150 trailers in stock We have trailers from single axle ATV to Dual Tandem Gooseneck Hot Shot to Race Trailers Check out our website. http://southernohioequipment.com We carry car hauler Tilt Top Flatbed Deckover Stock Horse Dump Landscape and Utility Trailer We stock steel and Aluminum Trailers Currently have PJ Big Tex Carry On and Stehl Tow Dolly utility Trailers Enclosed Trailers from Wells Cargo Look Pace American and RC We also carry Delta and CM Livestock Trailers Sell and install All Steel Carports We sell and install Curt and B&W Hitches Ranch Hand Grill Guards CM and PJ Flat Beds and Utility Service Beds Sold and Installed Here Skid Steer attachments buckets, Grapple, forks to hydraulic driven implements We are your trailer superstore with a fully stock parts room A show room full of truck and trailer accessories Southern Ohio Equipment Co LLC 6339 County Road 550 Frankfort Ohio 45628 740 998 6100 Hours M-F 9:00-5:00 Sat 9:00-12:00 We also carry used tractor and farm equipment and heavy equipment We have bulldozer, backhoe, bobcat, skid steer attachments, Tractor and loader new and used trailers We accept trade ins On site Financing from several vendors business and personal loans available We take in consignment equipment and trailers. Let us sell your unwanted equipment for you. 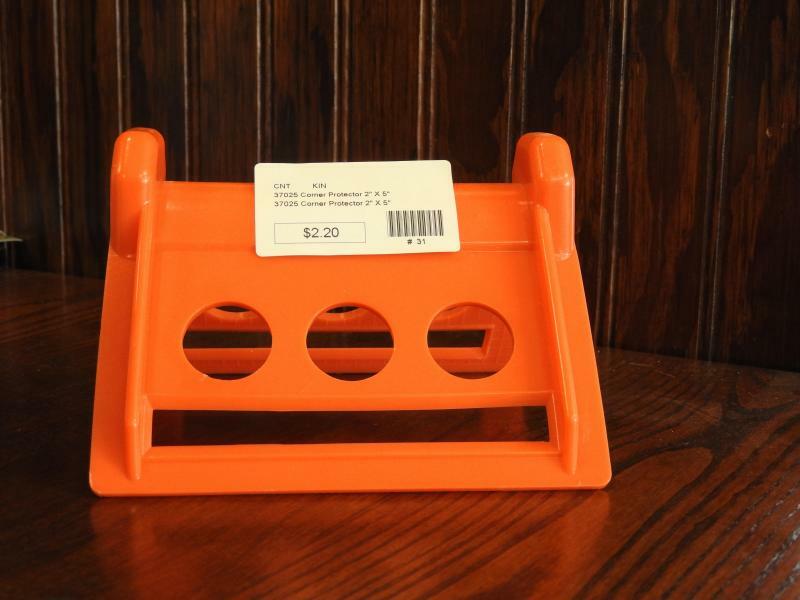 Desc: Kinedyne Cargo Control Corner Protector 2"x5" Plastic As Always NO Dealer Fees Please call or check out or website for a list of trailers We Currently have over 150 trailers in stock We have trailers from single axle ATV to Dual Tandem Gooseneck Hot Shot to Race Trailers Check out our website. http://southernohioequipment.com We carry car hauler Tilt Top Flatbed Deckover Stock Horse Dump Landscape and Utility Trailer We stock steel and Aluminum Trailers Currently have PJ Big Tex Carry On and Stehl Tow Dolly utility Trailers Enclosed Trailers from Wells Cargo Look Pace American and RC We also carry Delta and CM Livestock Trailers Sell and install All Steel Carports We sell and install Curt and B&W Hitches Ranch Hand Grill Guards CM and PJ Flat Beds and Utility Service Beds Sold and Installed Here Skid Steer attachments buckets, Grapple, forks to hydraulic driven implements We are your trailer superstore with a fully stock parts room A show room full of truck and trailer accessories Southern Ohio Equipment Co LLC 6339 County Road 550 Frankfort Ohio 45628 740 998 6100 Hours M-F 9:00-5:00 Sat 9:00-12:00 We also carry used tractor and farm equipment and heavy equipment We have bulldozer, backhoe, bobcat, skid steer attachments, Tractor and loader new and used trailers We accept trade ins On site Financing from several vendors business and personal loans available We take in consignment equipment and trailers. Let us sell your unwanted equipment for you. 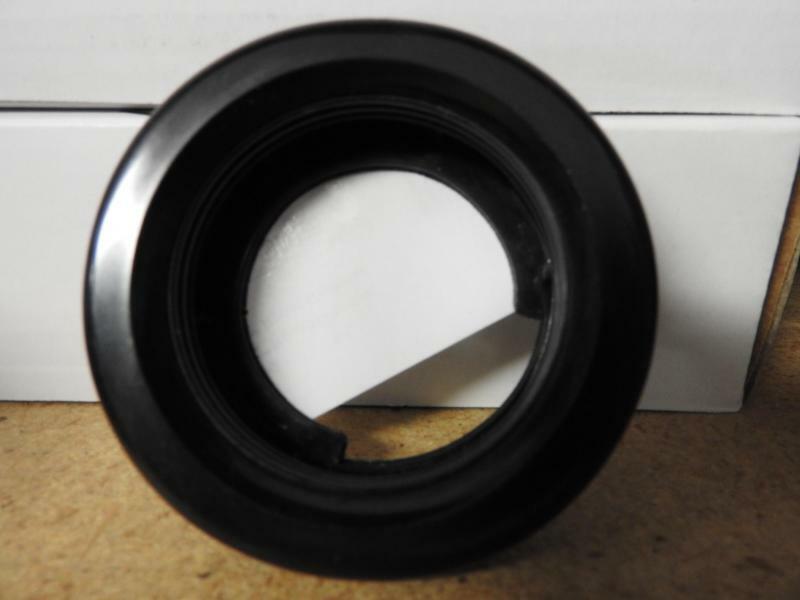 Desc: 2" Round Grommet As Always NO Dealer Fees Please call or check out or website for a list of trailers We Currently have over 150 trailers in stock We have trailers from single axle ATV to Dual Tandem Gooseneck Hot Shot to Race Trailers Check out our website. http://southernohioequipment.com We carry car hauler Tilt Top Flatbed Deckover Stock Horse Dump Landscape and Utility Trailer We stock steel and Aluminum Trailers Currently have PJ Big Tex Carry On and Stehl Tow Dolly utility Trailers Enclosed Trailers from Wells Cargo Look Pace American and RC We also carry Delta and CM Livestock Trailers Sell and install All Steel Carports We sell and install Curt and B&W Hitches Ranch Hand Grill Guards CM and PJ Flat Beds and Utility Service Beds Sold and Installed Here Skid Steer attachments buckets, Grapple, forks to hydraulic driven implements We are your trailer superstore with a fully stock parts room A show room full of truck and trailer accessories Southern Ohio Equipment Co LLC 6339 County Road 550 Frankfort Ohio 45628 740 998 6100 Hours M-F 9:00-5:00 Sat 9:00-12:00 We also carry used tractor and farm equipment and heavy equipment We have bulldozer, backhoe, bobcat, skid steer attachments, Tractor and loader new and used trailers We accept trade ins On site Financing from several vendors business and personal loans available We take in consignment equipment and trailers. Let us sell your unwanted equipment for you. 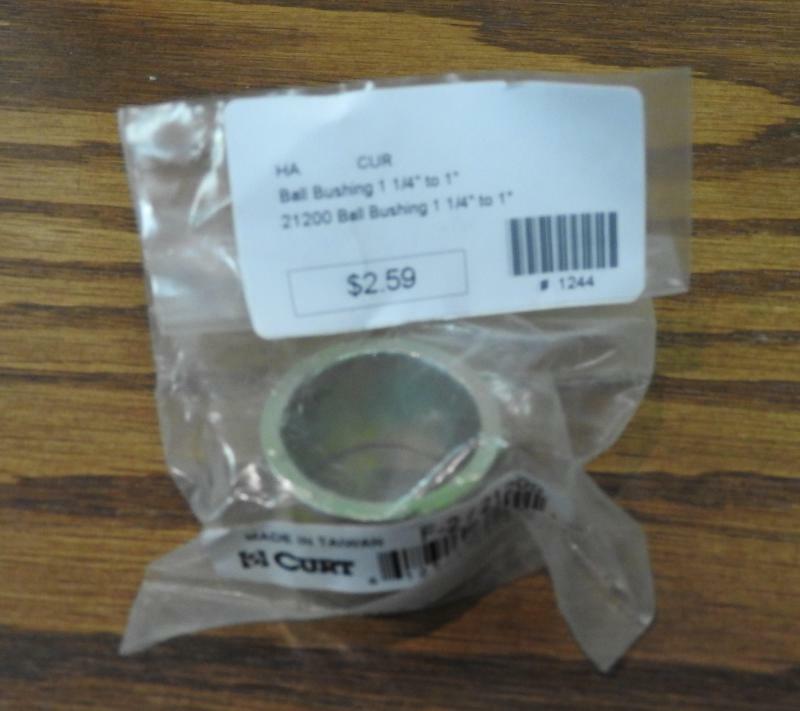 B75 Ball Bushing 1" to .75"
Desc: B75 Ball Bushing 1" to .75" As Always NO Dealer Fees Please call or check out or website for a list of trailers We Currently have over 150 trailers in stock We have trailers from single axle ATV to Dual Tandem Gooseneck Hot Shot to Race Trailers Check out our website. http://southernohioequipment.com We carry car hauler Tilt Top Flatbed Deckover Stock Horse Dump Landscape and Utility Trailer We stock steel and Aluminum Trailers Currently have PJ Big Tex Carry On and Stehl Tow Dolly utility Trailers Enclosed Trailers from Wells Cargo Look Pace American and RC We also carry Delta and CM Livestock Trailers Sell and install All Steel Carports We sell and install Curt and B&W Hitches Ranch Hand Grill Guards CM and PJ Flat Beds and Utility Service Beds Sold and Installed Here Skid Steer attachments buckets, Grapple, forks to hydraulic driven implements We are your trailer superstore with a fully stock parts room A show room full of truck and trailer accessories Southern Ohio Equipment Co LLC 6339 County Road 550 Frankfort Ohio 45628 740 998 6100 Hours M-F 9:00-5:00 Sat 9:00-12:00 We also carry used tractor and farm equipment and heavy equipment We have bulldozer, backhoe, bobcat, skid steer attachments, Tractor and loader new and used trailers We accept trade ins On site Financing from several vendors business and personal loans available We take in consignment equipment and trailers. Let us sell your unwanted equipment for you. 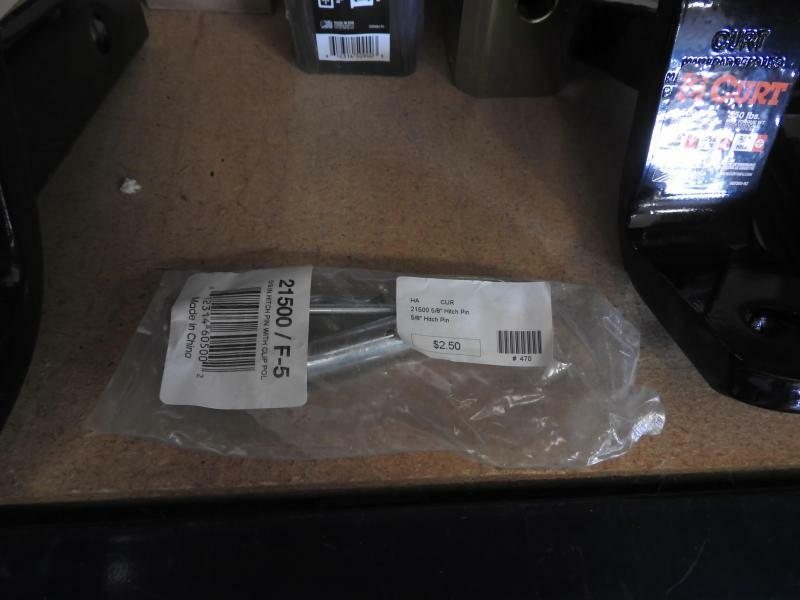 Desc: 3.15" Weld On Pin Hinge Tool Box As Always NO Dealer Fees Please call or check out or website for a list of trailers We Currently have over 150 trailers in stock We have trailers from single axle ATV to Dual Tandem Gooseneck Hot Shot to Race Trailers Check out our website. http://southernohioequipment.com We carry car hauler Tilt Top Flatbed Deckover Stock Horse Dump Landscape and Utility Trailer We stock steel and Aluminum Trailers Currently have PJ Big Tex Carry On and Stehl Tow Dolly utility Trailers Enclosed Trailers from Wells Cargo Look Pace American and RC We also carry Delta and CM Livestock Trailers Sell and install All Steel Carports We sell and install Curt and B&W Hitches Ranch Hand Grill Guards CM and PJ Flat Beds and Utility Service Beds Sold and Installed Here Skid Steer attachments buckets, Grapple, forks to hydraulic driven implements We are your trailer superstore with a fully stock parts room A show room full of truck and trailer accessories Southern Ohio Equipment Co LLC 6339 County Road 550 Frankfort Ohio 45628 740 998 6100 Hours M-F 9:00-5:00 Sat 9:00-12:00 We also carry used tractor and farm equipment and heavy equipment We have bulldozer, backhoe, bobcat, skid steer attachments, Tractor and loader new and used trailers We accept trade ins On site Financing from several vendors business and personal loans available We take in consignment equipment and trailers. Let us sell your unwanted equipment for you. 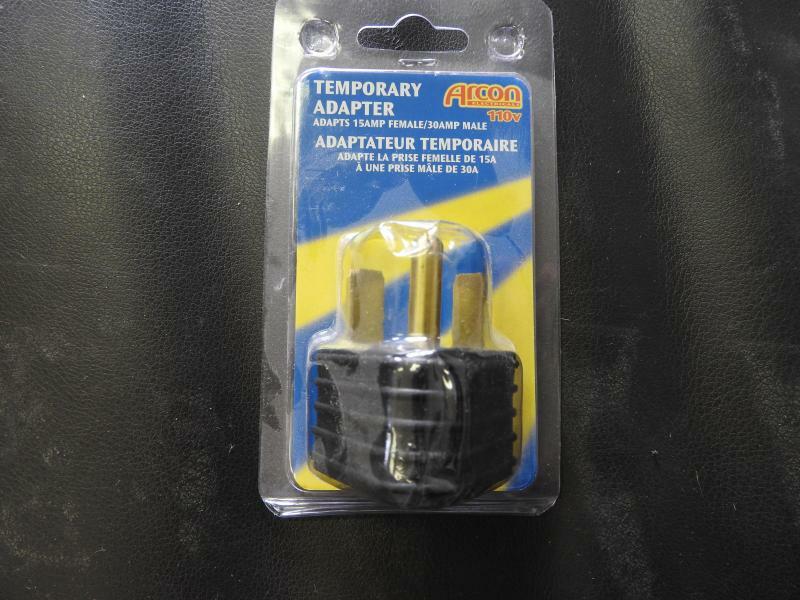 Desc: 7 RV Socket Vehicle Mount As Always NO Dealer Fees Please call or check out or website for a list of trailers We Currently have over 150 trailers in stock We have trailers from single axle ATV to Dual Tandem Gooseneck Hot Shot to Race Trailers Check out our website. http://southernohioequipment.com We carry car hauler Tilt Top Flatbed Deckover Stock Horse Dump Landscape and Utility Trailer We stock steel and Aluminum Trailers Currently have PJ Big Tex Carry On and Stehl Tow Dolly utility Trailers Enclosed Trailers from Wells Cargo Look Pace American and RC We also carry Delta and CM Livestock Trailers Sell and install All Steel Carports We sell and install Curt and B&W Hitches Ranch Hand Grill Guards CM and PJ Flat Beds and Utility Service Beds Sold and Installed Here Skid Steer attachments buckets, Grapple, forks to hydraulic driven implements We are your trailer superstore with a fully stock parts room A show room full of truck and trailer accessories Southern Ohio Equipment Co LLC 6339 County Road 550 Frankfort Ohio 45628 740 998 6100 Hours M-F 9:00-5:00 Sat 9:00-12:00 We also carry used tractor and farm equipment and heavy equipment We have bulldozer, backhoe, bobcat, skid steer attachments, Tractor and loader new and used trailers We accept trade ins On site Financing from several vendors business and personal loans available We take in consignment equipment and trailers. Let us sell your unwanted equipment for you. 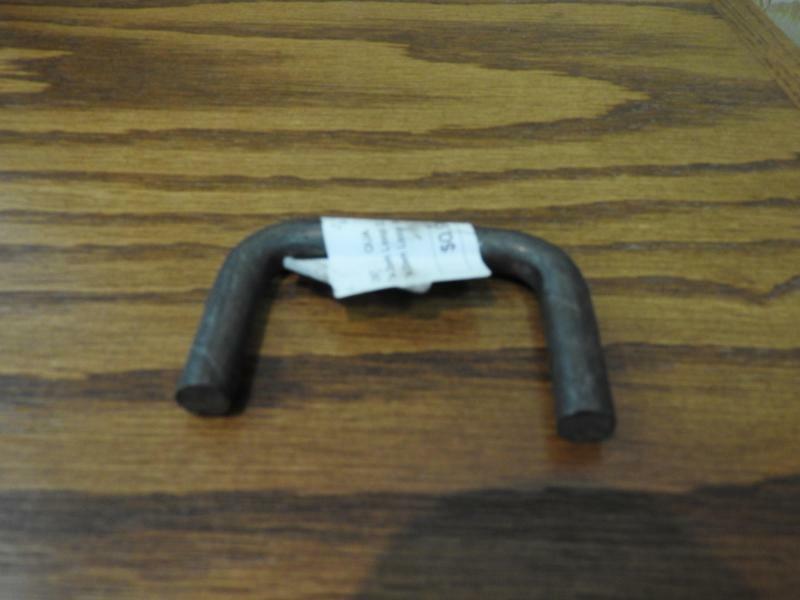 Desc: 5/8" Hitch Pin As Always NO Dealer Fees Please call or check out or website for a list of trailers We Currently have over 150 trailers in stock We have trailers from single axle ATV to Dual Tandem Gooseneck Hot Shot to Race Trailers Check out our website. http://southernohioequipment.com We carry car hauler Tilt Top Flatbed Deckover Stock Horse Dump Landscape and Utility Trailer We stock steel and Aluminum Trailers Currently have PJ Big Tex Carry On and Stehl Tow Dolly utility Trailers Enclosed Trailers from Wells Cargo Look Pace American and RC We also carry Delta and CM Livestock Trailers Sell and install All Steel Carports We sell and install Curt and B&W Hitches Ranch Hand Grill Guards CM and PJ Flat Beds and Utility Service Beds Sold and Installed Here Skid Steer attachments buckets, Grapple, forks to hydraulic driven implements We are your trailer superstore with a fully stock parts room A show room full of truck and trailer accessories Southern Ohio Equipment Co LLC 6339 County Road 550 Frankfort Ohio 45628 740 998 6100 Hours M-F 9:00-5:00 Sat 9:00-12:00 We also carry used tractor and farm equipment and heavy equipment We have bulldozer, backhoe, bobcat, skid steer attachments, Tractor and loader new and used trailers We accept trade ins On site Financing from several vendors business and personal loans available We take in consignment equipment and trailers. Let us sell your unwanted equipment for you. 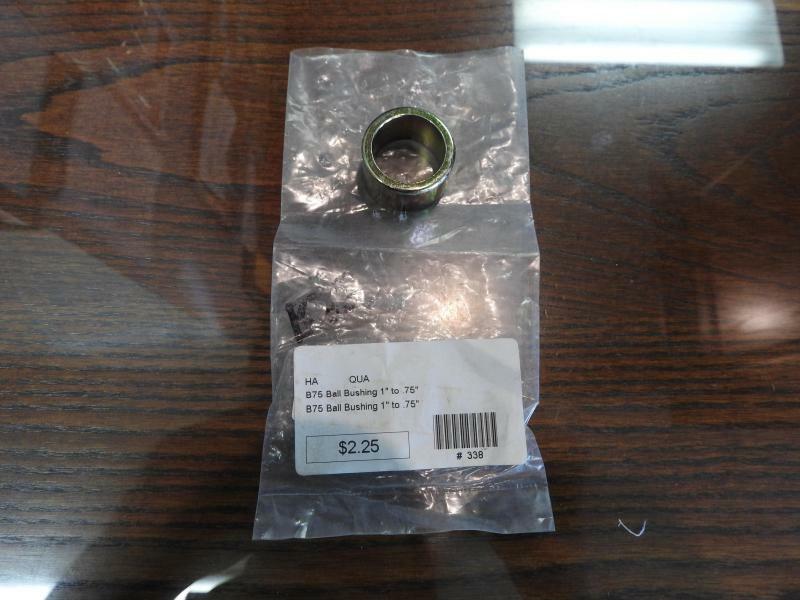 Desc: B23 D-Ring Bolt on 1k As Always NO Dealer Fees Please call or check out or website for a list of trailers We Currently have over 150 trailers in stock We have trailers from single axle ATV to Dual Tandem Gooseneck Hot Shot to Race Trailers Check out our website. http://southernohioequipment.com We carry car hauler Tilt Top Flatbed Deckover Stock Horse Dump Landscape and Utility Trailer We stock steel and Aluminum Trailers Currently have PJ Big Tex Carry On and Stehl Tow Dolly utility Trailers Enclosed Trailers from Wells Cargo Look Pace American and RC We also carry Delta and CM Livestock Trailers Sell and install All Steel Carports We sell and install Curt and B&W Hitches Ranch Hand Grill Guards CM and PJ Flat Beds and Utility Service Beds Sold and Installed Here Skid Steer attachments buckets, Grapple, forks to hydraulic driven implements We are your trailer superstore with a fully stock parts room A show room full of truck and trailer accessories Southern Ohio Equipment Co LLC 6339 County Road 550 Frankfort Ohio 45628 740 998 6100 Hours M-F 9:00-5:00 Sat 9:00-12:00 We also carry used tractor and farm equipment and heavy equipment We have bulldozer, backhoe, bobcat, skid steer attachments, Tractor and loader new and used trailers We accept trade ins On site Financing from several vendors business and personal loans available We take in consignment equipment and trailers. Let us sell your unwanted equipment for you. 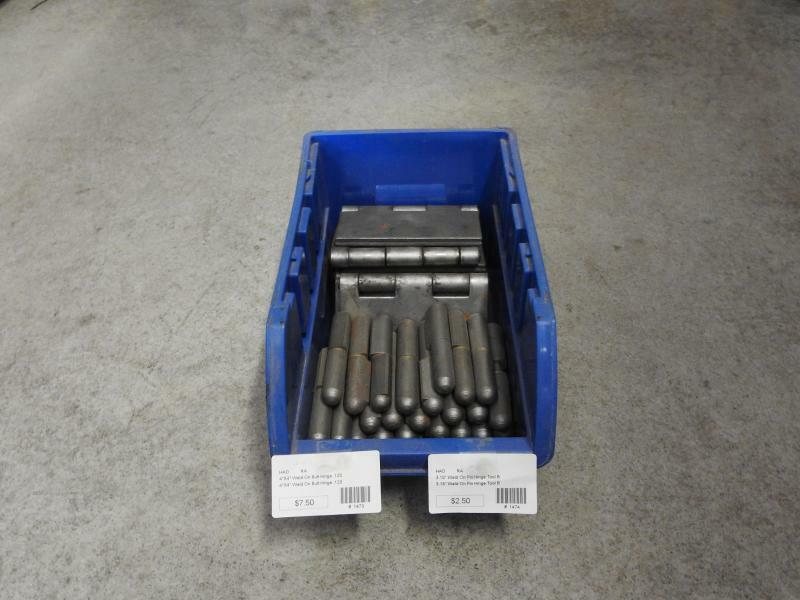 Desc: Ball Bushing 1 1/4" to 1" Item 21200 As Always NO Dealer Fees Please call or check out or website for a list of trailers We Currently have over 150 trailers in stock We have trailers from single axle ATV to Dual Tandem Gooseneck Hot Shot to Race Trailers Check out our website. http://southernohioequipment.com We carry car hauler Tilt Top Flatbed Deckover Stock Horse Dump Landscape and Utility Trailer We stock steel and Aluminum Trailers Currently have PJ Big Tex Carry On and Stehl Tow Dolly utility Trailers Enclosed Trailers from Wells Cargo Look Pace American and RC We also carry Delta and CM Livestock Trailers Sell and install All Steel Carports We sell and install Curt and B&W Hitches Ranch Hand Grill Guards CM and PJ Flat Beds and Utility Service Beds Sold and Installed Here Skid Steer attachments buckets, Grapple, forks to hydraulic driven implements We are your trailer superstore with a fully stock parts room A show room full of truck and trailer accessories Southern Ohio Equipment Co LLC 6339 County Road 550 Frankfort Ohio 45628 740 998 6100 Hours M-F 9:00-5:00 Sat 9:00-12:00 We also carry used tractor and farm equipment and heavy equipment We have bulldozer, backhoe, bobcat, skid steer attachments, Tractor and loader new and used trailers We accept trade ins On site Financing from several vendors business and personal loans available We take in consignment equipment and trailers. Let us sell your unwanted equipment for you. 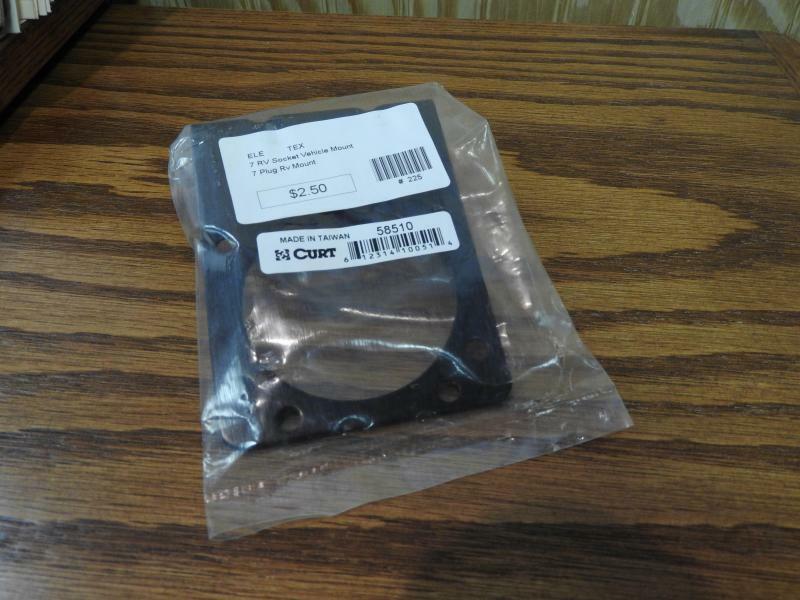 Desc: 1/2" Quick Link Repair Link #82930 As Always NO Dealer Fees Please call or check out or website for a list of trailers We Currently have over 150 trailers in stock We have trailers from single axle ATV to Dual Tandem Gooseneck Hot Shot to Race Trailers Check out our website. http://southernohioequipment.com We carry car hauler Tilt Top Flatbed Deckover Stock Horse Dump Landscape and Utility Trailer We stock steel and Aluminum Trailers Currently have PJ Big Tex Carry On and Stehl Tow Dolly utility Trailers Enclosed Trailers from Wells Cargo Look Pace American and RC We also carry Delta and CM Livestock Trailers Sell and install All Steel Carports We sell and install Curt and B&W Hitches Ranch Hand Grill Guards CM and PJ Flat Beds and Utility Service Beds Sold and Installed Here Skid Steer attachments buckets, Grapple, forks to hydraulic driven implements We are your trailer superstore with a fully stock parts room A show room full of truck and trailer accessories Southern Ohio Equipment Co LLC 6339 County Road 550 Frankfort Ohio 45628 740 998 6100 Hours M-F 9:00-5:00 Sat 9:00-12:00 We also carry used tractor and farm equipment and heavy equipment We have bulldozer, backhoe, bobcat, skid steer attachments, Tractor and loader new and used trailers We accept trade ins On site Financing from several vendors business and personal loans available We take in consignment equipment and trailers. Let us sell your unwanted equipment for you. Desc: As Always NO Dealer Fees Please call or check out or website for a list of trailers We Currently have over 150 trailers in stock We have trailers from single axle ATV to Dual Tandem Gooseneck Hot Shot to Race Trailers Check out our website. http://southernohioequipment.com We carry car hauler Tilt Top Flatbed Deckover Stock Horse Dump Landscape and Utility Trailer We stock steel and Aluminum Trailers Currently have PJ Big Tex Carry On and Stehl Tow Dolly utility Trailers Enclosed Trailers from Wells Cargo Look Pace American and RC We also carry Delta and CM Livestock Trailers Sell and install All Steel Carports We sell and install Curt and B&W Hitches Ranch Hand Grill Guards CM and PJ Flat Beds and Utility Service Beds Sold and Installed Here Skid Steer attachments buckets, Grapple, forks to hydraulic driven implements We are your trailer superstore with a fully stock parts room A show room full of truck and trailer accessories Southern Ohio Equipment Co LLC 6339 County Road 550 Frankfort Ohio 45628 740 998 6100 Hours M-F 9:00-5:00 Sat 9:00-12:00 We also carry used tractor and farm equipment and heavy equipment We have bulldozer, backhoe, bobcat, skid steer attachments, Tractor and loader new and used trailers We accept trade ins On site Financing from several vendors business and personal loans available We take in consignment equipment and trailers. Let us sell your unwanted equipment for you.